The Hours - My Memoir: Children Of Heaven! 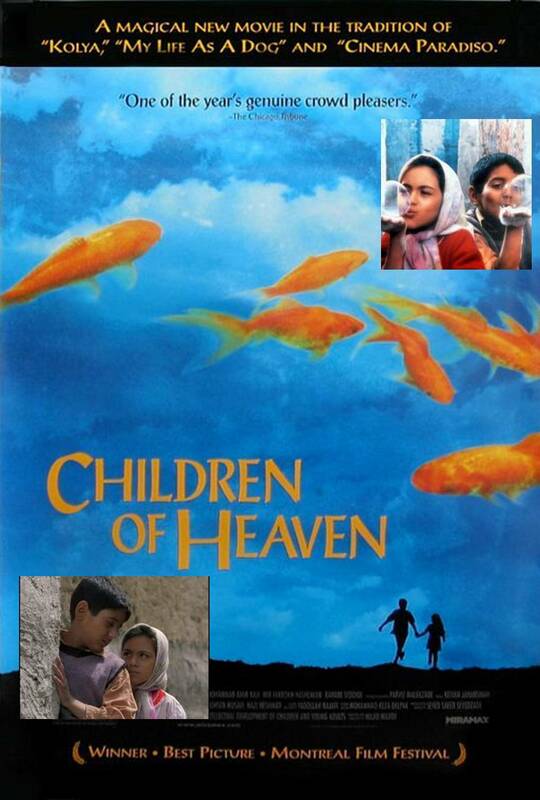 Children of heaven (Bachehaye Aseman) is a 1997 Persian movie with a simple but very complex drive into kids mind. Brother (Ali) loses his sisters (Zahra) shoes in a market place. The family is poor and hence they are unable to reveal this to their parents, instead the siblings decide that they will manage the future days with just one pair of shoes (that of Ali's). Luckily for them their schools start at different times, while Zahra finishes the school, Ali’s class’s start and they exchange the shoe somewhere midway to school. The movie captures the complicated minds of the kids that are tangled with thoughts and realizations that cannot be always expressed with words. The performances are brilliant. good movie man. One of the good ones. Sounds like an absolute must watch! I loved this movie, and have watched it twice - both times with equal zeal. Bumm Bumm Bole is a Bollywood movie made based on the same, but the original is brilliant. Hi ajeya ,seems like this must be a nice movie .Its a coincidence that i had watched a movie in hindi "sikander" which had a similar theme"a child's mindset",but put in a different story line. Raji...the movie was made in hindi - it is called Bumm Bumm Bole...not sikandar. very nice movie. I enjoyed watching it ajeya.